Games have always been an integral part of human civilization. From the ancient ages to medieval period and to the present day – games have evolved along. Card games in particular have been there since ages. Particularly, games like Poker and classic Indian rummy have never stopped interesting people. Even to this day, you will find people who swear by them as the best games. With the advancement in internet and digital technology, games too have undergone tremendous changes. Especially the card games, as they have made their way to the digital space. All the favourite card games are now available in their online format sweeping the players by awe and fascination. Do you know the most popular cards games that people play across the world? Well, we can help with that. Poker is by far the most popular card game in the world. It requires a mix of strategy, skill and a bit of gambling too. In the early 19th century it was invented in America as an American card game and gradually moved to several parts of the world. Today, it the most popular card game in the world and has several tournaments and competitions at the international level where professionals and Poker experts vie for the big prize. After Poker, indian rummy is considered to the next popular card game played across the world. Rummy games are so popular that it has many regional and local flavours too. However, 20 variants are recognized around the world. Among the variants, Gin rummy is considered to be the most popular one. In India, Indian rummy is the most popular rummy variant. A mix of Gin rummy and Rummy 500, the objective is to meld sequences and sets. Played with 4 to 6 players with 2 standard decks of cards, each player is dealt 13 cards at the start. With the online format available, people have taken up to playing online rummy game in a big way. Having its origin from the Russian card game Biritch, this card game dates way back to the 1880’s. Over the years, Bridge as a game has underwent several changes and has moved regions too. This is the most complex of the card games. It is played with 4 players with 2 teams competing with each other. The game has several dealings. The popular variants of Bridge are Rubber and Duplicate Bridge. Internationally, several competitions and tournaments are held with people from across the world taking part in them. Perhaps this is the only card game that you could play alone. This is a very simple card game which has no rules except the colour rule. As a player you are expected to arrange the cards in the alternating colours or red and black. You do not have to bother much about the four different suits or the rank of the cards. Over the years, gaming companies have released many software variant of this game. No wonder it is a popular card game played in solitude! 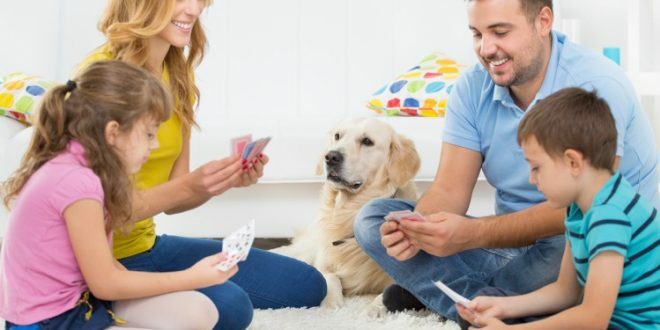 The growing popularity of card games like online rummy game and others is a clear indication of the growing inclination of players for traditional games but with the modern touch.